Even though January has only just begun, before we know it the days of February will be passing by just as fast. Afraid of running out of inspiration so soon in 2018? 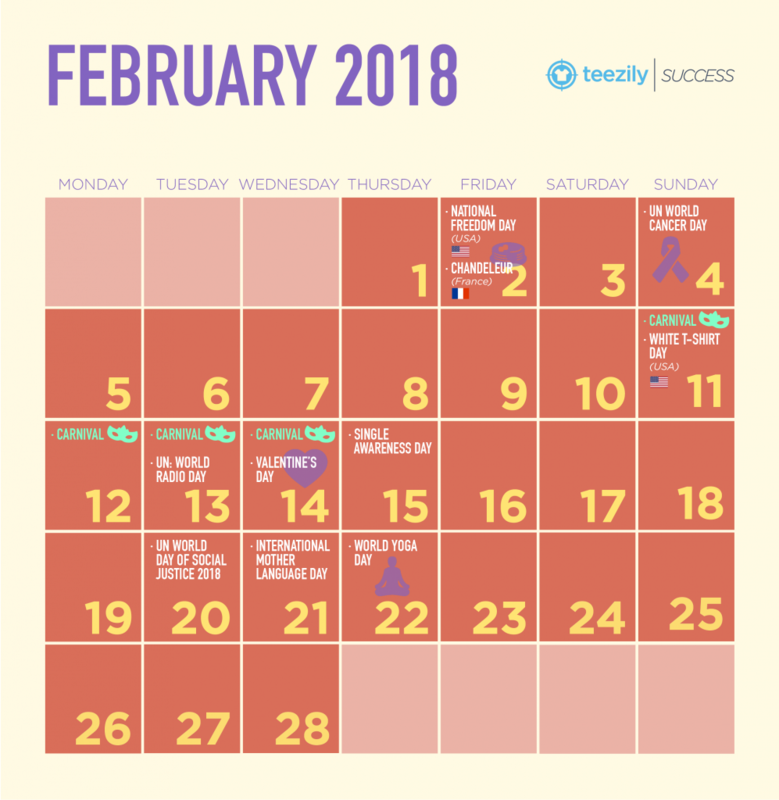 Luckily, the month of February has some interesting events and celebrations to fill the inspirational gap. It is not just the month of chocolates and love. On the contrary, there is so much more in store! Think about Carnival Season. This event is celebrated in many different countries such as Brazil, France, Germany, The Netherlands, Eastern and Southern European countries and in the Pacific. It means that you can test your campaigns for so many different markets! Have a look at our calendar and get your creativity going!